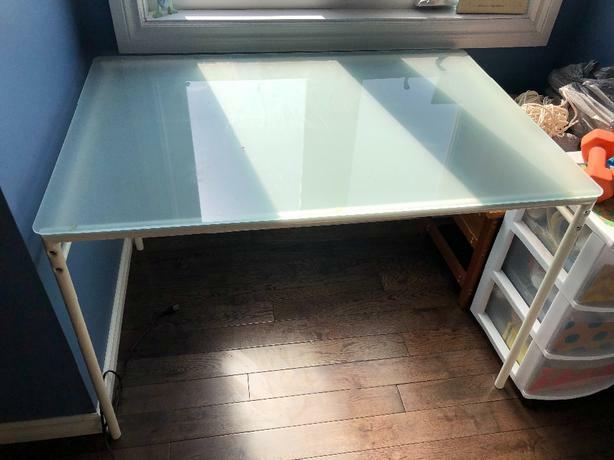 Frosted glass topped desk or dining table in EUC. 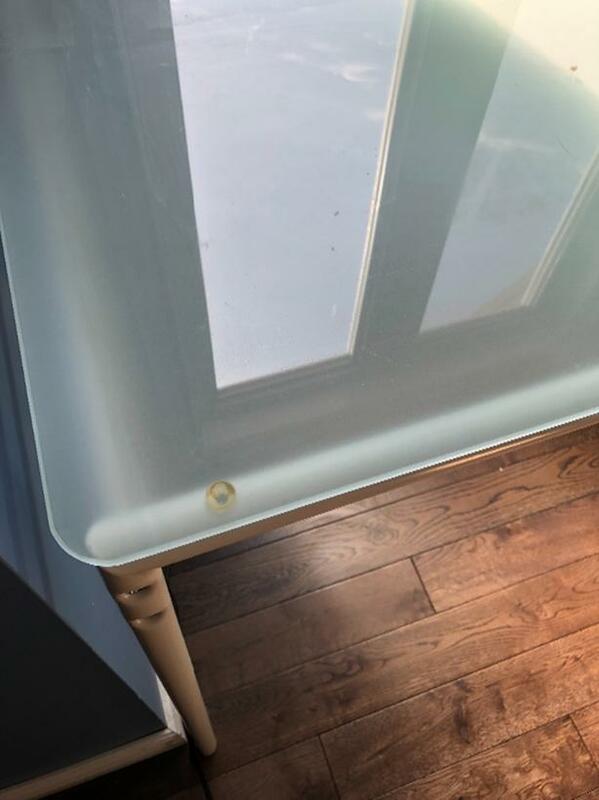 Has white metal legs. 43 in long, 29.5 in wide and 29 in tall. Pick up in James Bay.